In virtual preoperative CMF planning, correct alignment of the dataset is the first critical step. 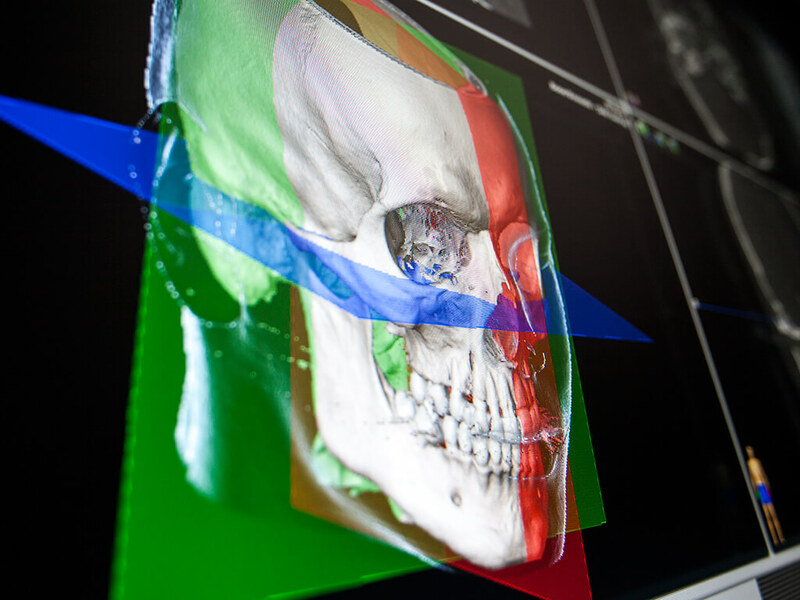 Non-aligned DICOM data is loaded into iPlan® CMF and aligned according to predefined planes which serve as mirroring planes during the CMF planning process. The alignment of the dataset allows a comparison between both sides of the patient in one view. The segmentation of objects is usually the most time-consuming step when using CMF planning software. 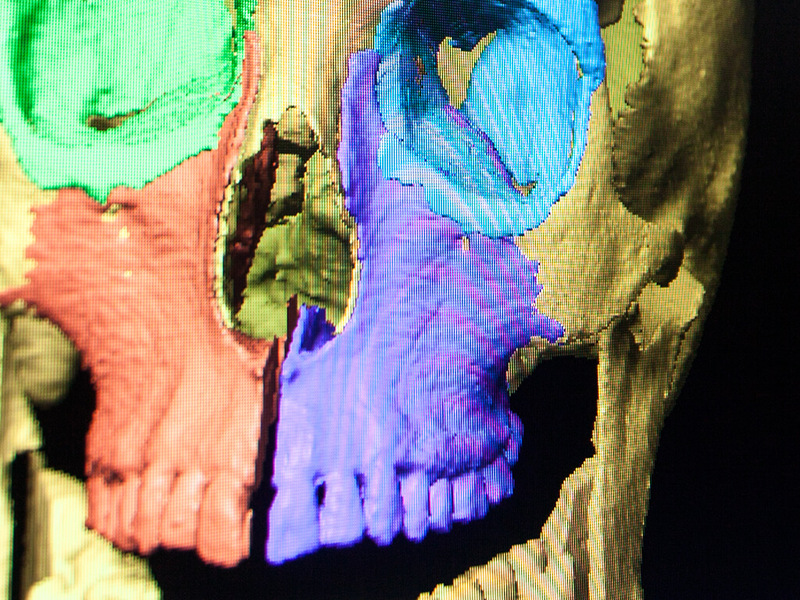 With the unique Automatic Atlas Segmentation, Brainlab is able to reduce this effort to a minimum with iPlan CMF planning software. Based on anatomical and surgical structures, numerous objects can be selected simultaneously. The objects are segmented accurately and automatically within seconds. Unilateral defects allow the utilization of templates from the healthy side. With iPlan CMF, segmented structures are easily mirrored to the defect side. The mirrored structures can be manipulated and positioned according to given anatomical structures of the affected side. An important feature of CMF planning software is the ability to import and export STL data. With iPlan CMF planning software STL-data can be imported, checked for correct size and positioned. 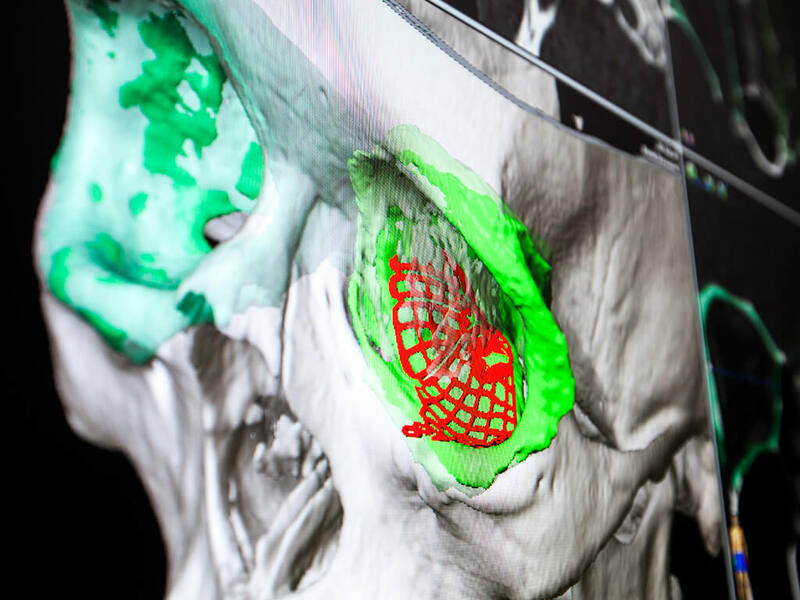 The STL-export allows objects and anatomical structures to be exported for the production of patient-specific implants or rapid prototyping models. 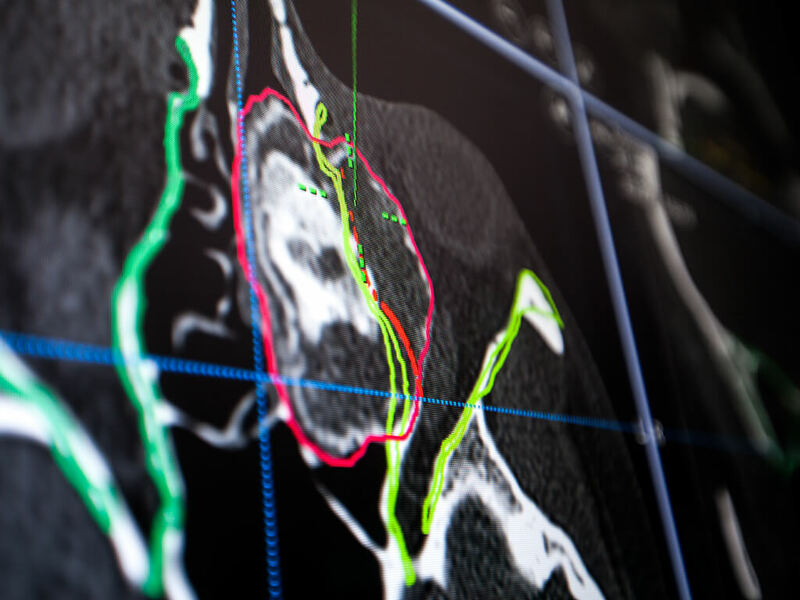 Brainlab navigation allows for the intraoperative realization of pre-operative planning. All relevant pre-planned data is accessible and can be utilized during the surgery. 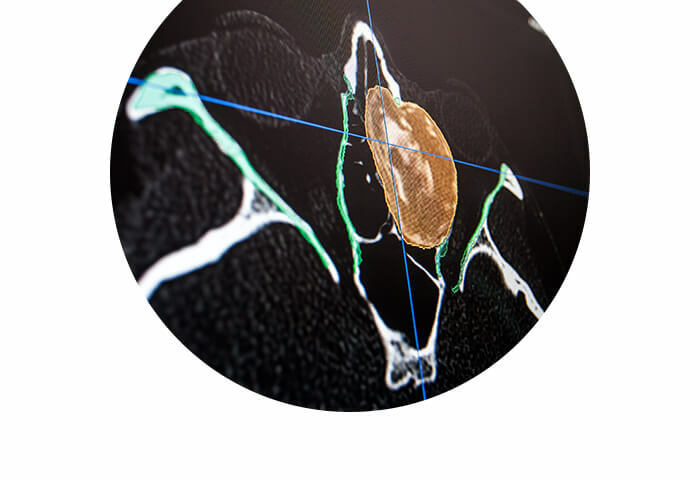 With navigation, the final positions of implants or repositioned bone fragments can be verified. 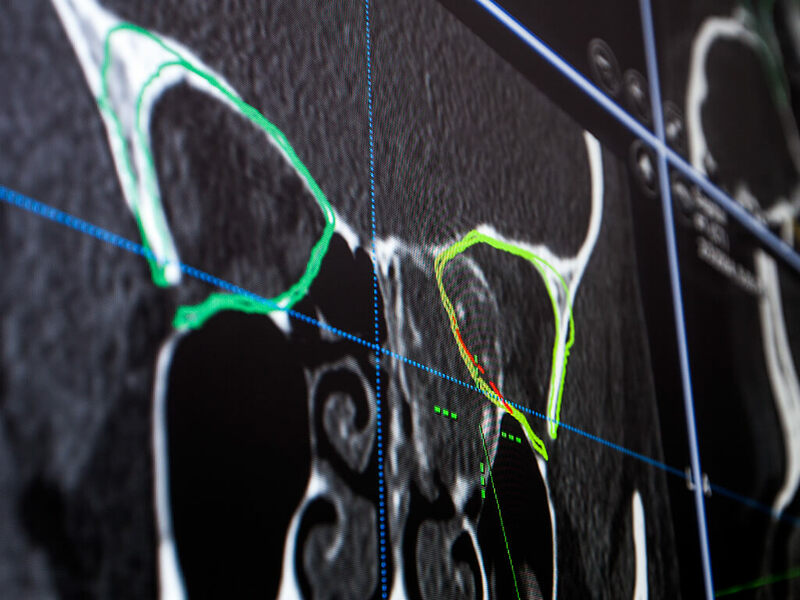 The resulting verification can be supported by the acquisition of intraoperative images as well as fusion with pre-operative planned data. 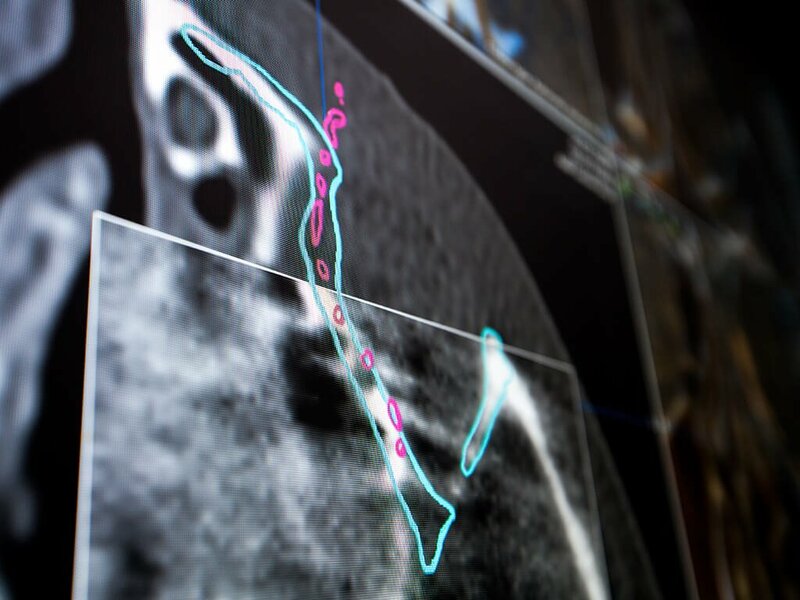 One major challenge in CMF is the ability to display the position of fragments or implants during navigation in relation to the initial DICOM data and pre-operative plan. The virtual anatomy update allows the actual position and surface of the relevant object to be ‘painted’ manually into the dataset, using a calibrated instrument. By displaying the actual position in the navigation software, necessary adjustments can be made during the CMF procedure. 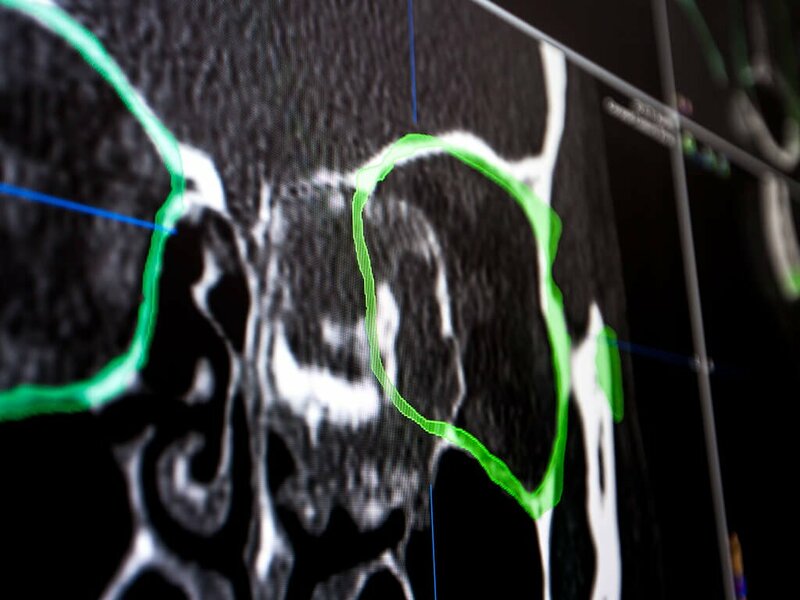 Intraoperative imaging can prevent complications and revision surgeries through instant progress verification in the O.R. The acquired intraoperative data can be fused automatically with the pre-operative plan. The comparison between pre-planned and actual outcome can be completed in the O.R. with Brainlab navigation software or by using the Buzz™ Digital O.R. as a navigation extension.